We’ve all heard the old adage, “Serve white wines chilled and red wines at room temperature.” But do you really know what that means? How cold is chilled and what exactly does room temperature mean? Temperature plays a big role in both the storage and serving of wines. When storing wine, too-high temperatures may cause it to mature too quickly and give your wine a “cooked” flavor. If your storage area is unregulated and gets too cold, your wine may not mature properly and will not develop the lovely flavors you were expecting. Too hot or too cold, and you’re setting yourself up for disappointment when you finally pop that special bottle. Try to keep wine storage temperatures between 55 and 60 degrees Fahrenheit. A few degrees higher or lower won’t make too much difference, but do make aim for the most consistent temperature as possible; try to avoid fluctuating temperatures. Wine fridges are terrific for maintaining ideal serving temperatures for immediate consumption. They come in a variety of sizes and configurations to accommodate both large and small collections. Some wine storage units are designed for long-term storage and take into account conditions like light, humidity and vibration, all of which are important variables when storing and aging wine. So, you’ve stored your carefully chosen vintages just as you should and now you’re ready to open them. 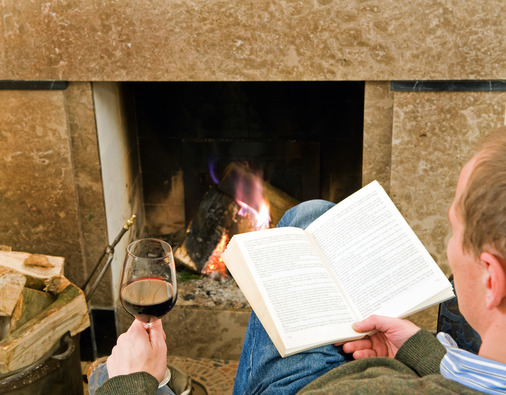 Let’s have a look at how temperature can affect the enjoyment of your fine wine. 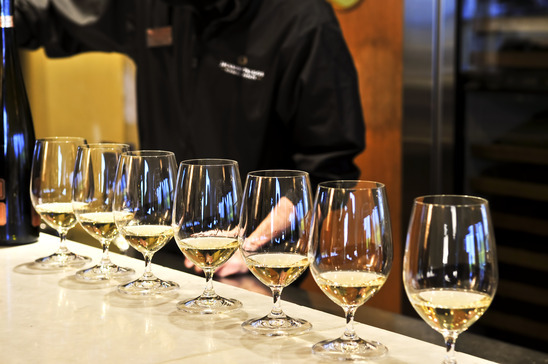 White wines definitely show their best when chilled — but be careful not to overdo it by serving it too cold. Often whites and rosés are served at such frigid temperatures that the wine is stunned and you lose all the fantastic aromas is has. 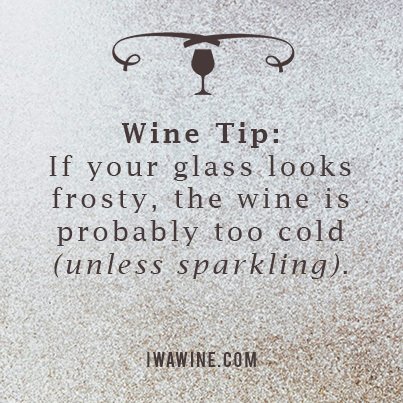 Here’s a good rule of thumb: except in the case of sparkling wines, if your glass appears frosty, the wine is probably too cold. Although it may be tempting to pop your wine bottles into the freezer for a quick cool-down, be careful. There’s always a danger of ending up with a “wine-cicle.” Once wine is frozen, it will never really regain its original flavor and character. Wine chillers are both decorative, functional and a better option. Fill them with ice, water and a pinch of salt to cool your wine to the perfect temperature, then transfer the bottle to an acrylic, metal or stone cooler to keep it that way while you enjoy your wine. 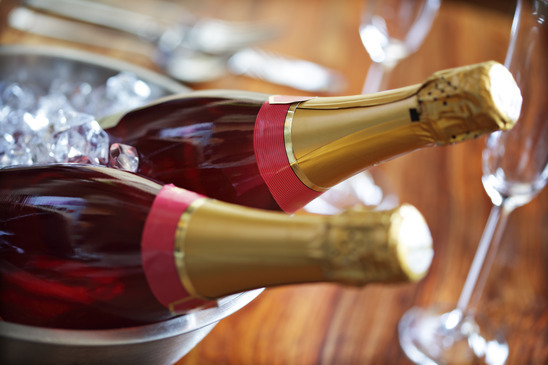 Sparkling wines such as Champagne, Cava and Prosecco should be served around 43-45 F. This temperature maintains the right pressure inside the bottle, making it easier to control the cork and reducing the chance the wine will foam up. Don’t waste good Champagne! If you like sweeter white wines, say Muscat or Riesling, try them at the same 43-45 F. Lighter whites, like Pinot Gris or Sauvignon Blanc, are delightfully refreshing when served just a bit warmer around 45-50 F.
The flavor of dry rosé is perfect at about 55 F. Richer whites — oaked Chardonnay or Viognier for example — will reward you with luscious fruit notes if you let them warm up just a little to about 59-64 F.
The idea of room temperature as the benchmark for serving red wines comes from the days before central heating. If you serve your Cabernets and Merlots at today’s average household temperature of 75 F, instead of enticing aromas of berries and spice, you’ll likely get overwhelming whiffs of baked fruit and alcohol! Enjoy fruity Beaujolais Nouveau or lighter Pinot Noir around 50-55 F, medium bodied Merlot, Cabernet Franc and Sangiovese at 55-58 F and big, luscious California Cabernet Sauvignon or Châteauneuf-du-Pape slightly warmer, around 59-64 F.
Wine too chilly straight from your cellar? Try this Sommelier secret: Simply immerse the bottle in a warm water bath for a few minutes! If you don’t have a cellar to store your wine, try this trick: Put your reds in the refrigerator for 15-20 minutes before opening, and take your whites out for the same length of time. Not sure of your wine’s temperature? Invest in a wine thermometer, which attaches like a belt around the bottle and provides the temperature of the wine within minutes. Do you have any other tips for maintaining the proper storage and serving temperatures for your wine?